About Us .:. 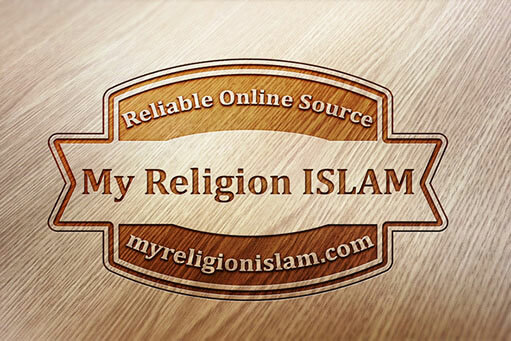 : www.myreligionislam.com :.:. We have prepared this site compatibly with the creed of Ahl as-Sunnat by quoting from the valuable books of Ahl as-Sunnat scholars. People cannot find the right path by reading the Qur’ân al-karîm and hadîth-i sharîfs on their own; there is a need for qualified scholars. For example, we, let us say, have mixed one real gold coin into seventy-two fake ones. Just as no one other than goldsmiths can distinguish the real gold coin from others, so no one other than Ahl as-Sunnat scholars can distinguish the righteous sect from others among 73 sects. If we attempt to find the right path by our wisdom (‘aql), it will be very difficult, even impossible. People affiliated with one of these sects claims that theirs is the righteous one. However, in that knowledge, the wisdom which is not salîm cannot be a gauge. If it were a gauge, there would not have emerged 72 heretical groups. Those who adopt any of these sects prefer it according to their wisdom. If one follows one’s wisdom, then there comes out as many sects as the number of people. Today there are many books on the market and there are many groups. That we say good or bad about them does not carry any importance. That is, a person does not become good or bad according to our statement. The name of a person or the title of a book does not matter. There are thousands of books and scholars. If we have the criterion to judge, we will be at ease and understand which one is true. Allahu ta’âlâ has promised that if a person wants to learn the Islamic religion correctly He will grant it to that person. Allah does not break His promise. Therefore, one should perform istikhâra and entreat so, “O my Rabb! I believe in You. I love You and Your prophets. I want to learn Islamic knowledge correctly. Bless me with it and protect me from deviating into wrong paths.” Allahu ta’âlâ will guide such a person to the right path. Now, the people in different groups should not refrain from saying the above-mentioned invocation. Allahu ta’âlâ never does a wrong deed. Thinking “I, too, may be on the wrong path,” one should pray so, “O my Rabb! Whoever are on the right path and whomever You are pleased with, bless me loving and being with them.” If one is on the right path, entreating so will not do any harm. However, if one is on the wrong path, one will be directed to the right path, and thus, one will be saved. One should not avoid uttering this prayer. Getting on a vehicle, all people are traveling on a way destined for the Hereafter. While traveling, what is important is not to get on a vehicle but to get on a right vehicle. People who get on a wrong one will head for the place where it is en route, not where they want. For example, those who board a plane to Paris with the intention of going to Kâ’ba cannot arrive at Kâ’ba no matter how pure intentions they may have. Allahu ta’âlâ has guaranteed the sustenance for His creatures. However, He is not the Guarantor of the îmân [belief]. Before rectifying one’s credal state according to the Islam’s true credal principles termed “the creed of Ahl as-Sunnat,” performing acts of worship will be of no avail. We can conceive of the true belief (the belief of Ahl as-Sunnat) as the number 1. Acts of worship performed with sincerity are like number 0 placed on the right of number 1. When placed one 0, it is 10. If placed two zeroes, then it is 100. The more zeroes we place on the right of it, the more valuable it will become. However, when we remove the number 1, the result is 0. By the same token, acts of worship performed with insincerity, that is, for ostentation, are worthless like zeroes placed on the left of 1. After people have corrected their i’tiqâd [belief] in accordance with the true credal principles of Ahl as-Sunnat, to increase their acts of worship is up to their perseverance, sincerity, and knowledge. They can indulge themselves to their hearts’ content. However, if they do not have correct belief, namely, the Ahl as-Sunnat belief, their acts of worship will be worthless like zeroes on the left. If they gave the whole world to us, but if our credal state were not correct, our situation would be ruined. If they piled up all the disasters and desolations upon us, but if our credal state were correct, there would be no need to worry. Ahl as-Sunnat scholars declared unanimously that the correct creed is the creed of Ahl as-Sunnat.